Having a dark past of horrifically awful acne has not only left me with a thorough knowledge of all things skincare, it's made me extremely (I can not emphasise extremely enough) picky about what I put on my face. 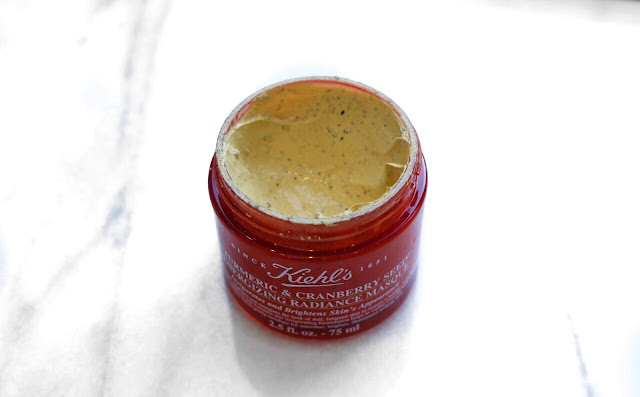 One of the lucky few skincare items I wholeheartedly trust on my irritatingly sensitive and spot-prone skin is Kiehl's Turmeric and Cranberry Seed Face Masque. At a glance at the beautiful bright orange tub, you read that the mask is labelled as 'energising and radiance', but at my time of purchase I also noted the mask contained Turmeric which is a holy grail natural ingredient for problematic complexions. In my eyes, if this turned out to be a mask that could clear my skin whilst also energising it, I would be a very impressed woman. And impressed I am. I aim to use this mask once a week, although I have to hold my hands up and admit sometimes I do skip a week if I'm having an ultra busy weekend. But, whether I've been using it like clockwork, or haven't touched it in a while it never fails to impress me. Pretty much every time a cluster of spots surface on my skin, after use of this mask they will calm down and ultimately F off within 24-48 hours. I know. There have been a few stubborn ones that have withstood the blemish beating power of this gorgeous little mask, but the (large) majority of the time I am perfectly comfortable with trusting the product to keep my skin clear of unwanted intruders. As well as being a general dose of goodness for your skin, this mask also exfoliates. 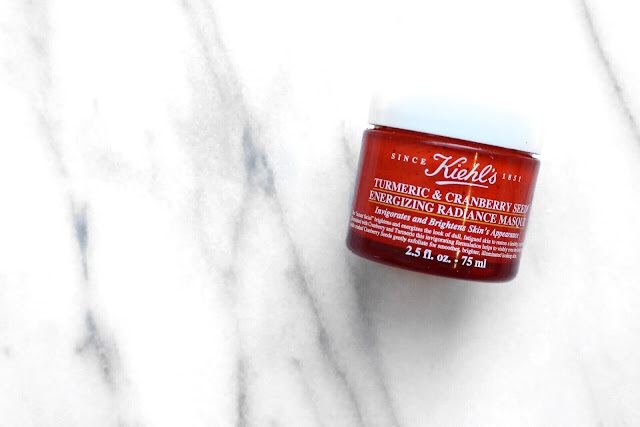 The cranberry seeds in the mask gently exfoliate your skin which in turn makes the surface appear more even, radiant and youthful. Who doesn't want that? Aside from my blemishes, I also suffer from unrelenting blackheads - lucky me, I know. In addition to the Kiehl's mask's other skin saving qualities, I have also found it does wonders for blackheads. The gentle exfoliation helps extract them while the mask itself shrinks my pores and keeps them clearer for longer. I mean, there's no denying that this is just my dream mask. Whilst I couldn't rave about this product enough and I have recommended this to friends who have loved it, I have also seen my boyfriend (who has even more sensitive skin than I) react not so great to it. So, if you have super sensitive skin I would approach with a little care. Aside for that minuscule word of caution, I have two words for anyone looking for a mask to rid them of blemishes and exfoliate and brighten their complexion: buy it. Just buy it. I hope (but kind of already know) you'll love it as much as I do.